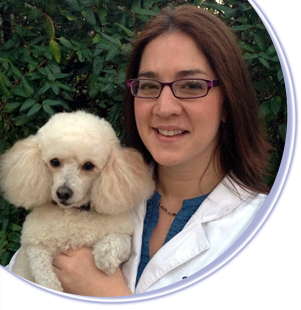 Dr. Talia A. Goldberg is a general practitioner and the owner of Upper East Veterinary Center. A native of Jersey City, NJ, she graduated with a Bachelor of Science from Cornell University and received her veterinary degree with honors from Ross University School of Veterinary Medicine. After completing a year of clinical training at the University of Illinois College of Veterinary Medicine, she completed a 15-month internship in small animal medicine and surgery at The Center for Specialized Veterinary Care (Brightheart) in Westbury, NY. Previously, Dr. Goldberg was an Associate at Abingdon Square Veterinary Clinic in Greenwich Village, Park East Animal Hospital on the Upper East Side and at Animal Medical of New City in Rockland County, NY where she developed her interests in internal medicine, surgery, dentistry and creating close bonds with her clients and patients. Dr Goldberg lives on the upper west side with her dog Indie and her cat Elliot. When not at work, Dr Goldberg loves to travel, scuba dive, play sports, and spend time with her friends and family. 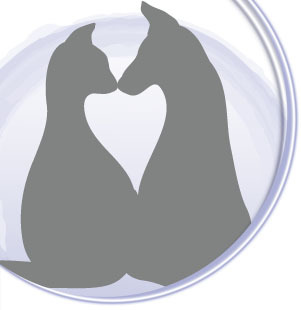 Her goal at Upper East Vet Center is to offer high quality, state of the art health care for your furry family member in a relaxed, welcoming modern setting. 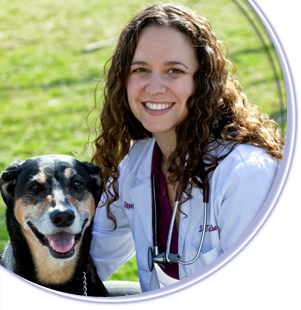 Dr. Megan Nunemacher was born and raised in Harrisburg, Pennsylvania and has had a love and interest in veterinary medicine from an early age. She attended college at Penn State University procuring a Bachelor of Science in Biology and a minor in Animal Science. While at Penn State, she was an active member of the pre-vet club, a regular volunteer at PAWS (a feline rescue organization), and the community service leader for the Golden Key Honor Society. Dr. Nunemacher earned her degree in veterinary medicine from the University of Pennsylvania in Philadelphia, where she continued her volunteer work at local shelters and with Rural Area Veterinary Services, a program that provides free veterinary care to underserved areas throughout the United States and abroad. After graduation Dr. Nunemacher made the exciting move to New York City to embark on her career as a veterinarian. She worked at a busy small animal practice in Brooklyn for several years before deciding to join the team at Upper East Veterinary Center. Her special interests include internal medicine, especially endocrine diseases and gastrointestinal disorders, oncology, and general surgery. Dr. Nunemacher has also completed advanced training in dentistry and acupuncture. Dr. Nunemacher lives in Brooklyn with her one of a kind toy poodle, Pepito, and two curious cats, Leroy and K-fan. When not at work, Dr. Nunemacher is an avid traveler, a fierce competitor in kickball and inner tube water polo, and a self-proclaimed “foodie.” She looks forward to meeting you and your pet and is eager to provide you both with the best veterinary care possible. Dr. Erin Keefe is originally from Buffalo, NY and moved to New York City to attend college at Fordham University. After completing her Bachelor’s degree in Biology, she pursued a career in biomedical research and earned a Master’s degree in molecular biology. She spent several years working in a genetics lab and teaching undergraduate biology students but her love for animals eventually lead her to veterinary school. She attended Kansas State University and spent much of her time completing externships in shelter medicine, as well as an oncology externship at The Animal Medical Center in NYC. She began her veterinary career in Buffalo but made the move back to the New York City area to practice at a busy small animal hospital in Westchester County. She enjoyed her time spent in a large practice and was especially grateful for the opportunity to care for the homeless animals of the Yonkers Animal Shelter. Dr. Keefe’s special interests include internal medicine, dermatology, and shelter medicine. She strongly believes in the importance of client education and enjoys creating a close bond with pets and their parents. She lives in Long Island City and in her free time she loves travel, yoga, skiing, exploring the city, and photography. At home, she cares for her 2 cats, Fiona and Bailey. She is very excited to have joined the Upper East Veterinary Center team and looks forward to meeting you! Dr. Gabrielle Fadl was born and raised in Rockland County, NY. She attended college at New York University, where she earned her Bachelor of Science in Mathematics and Education. Knowing she wanted to work with animals, she decided to leave the field of education to shadow and assist veterinarians and animal care workers while going back to school to complete the prerequisites required for veterinary school. Looking for a change of scenery, Dr. Fadl earned her Doctorate of Veterinary Medicine from Kansas State University in Manhattan, Kansas (The Little Apple). During her time there, she volunteered some of her free time performing spays and neuters for the local shelters and humane society, and acquired a special interest in anesthesia, pain management, and internal medicine. She also conducted research and was published on topics in parasitology and parasitic diseases. Following graduation, and missing The Big Apple far too much, Dr. Fadl was accepted into an intensive year-long internship in General Medicine and Surgery at Fifth Avenue Veterinary Specialists (now BluePearl-Downtown). Here, she often had sole case responsibility for many emergency patients, and worked alongside specialists in the field of internal medicine, critical care, surgery, cardiology, dentistry, ophthalmology, and neurology. She honed her clinical skills and learned effective communication with clients, placing a strong emphasis on education and learning. After internship, she worked at a fast-paced small animal practice in Brooklyn, NY for two years before joining the team at Upper East Veterinary Center. When not at work, you can find Dr. Fadl wandering the streets of Brooklyn and Manhattan and eating all the food the city has to offer. She loves to travel, cook, bake, craft, hike, and spend time outdoors. She shares her home with her pointy-eared terrier, Rocko and her two spunky cats, PC and Fang. She is excited to meet you and your pets, and to provide the highest quality of care possible.